Once in Los Angeles, it is worth staying awake only to see that magnificent and breathtaking sunrise embracing the entire sky with the most dulcet shades of peach orange, coral, mulberry, lilac and dodger blue. 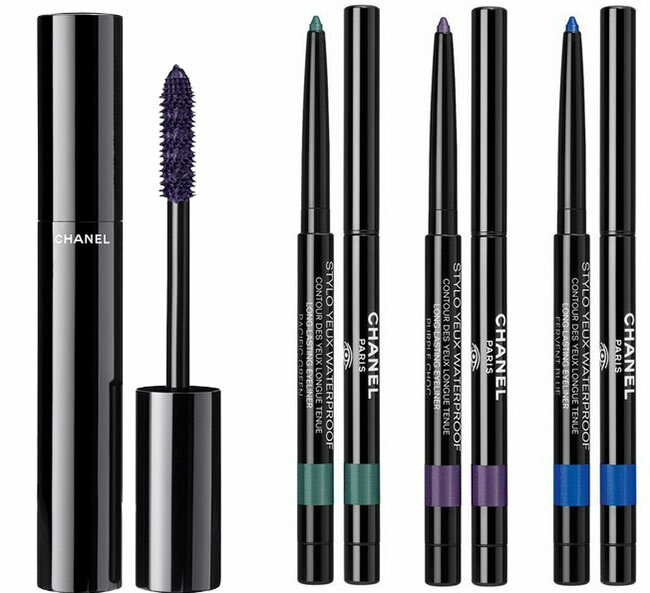 Equally it is worth acquiring the Chanel LA Sunrise spring 2016 makeup collection that will either transfer you somewhere in Los Angeles or just switch on its screen to show you the whole beauty of the LA sunrise. 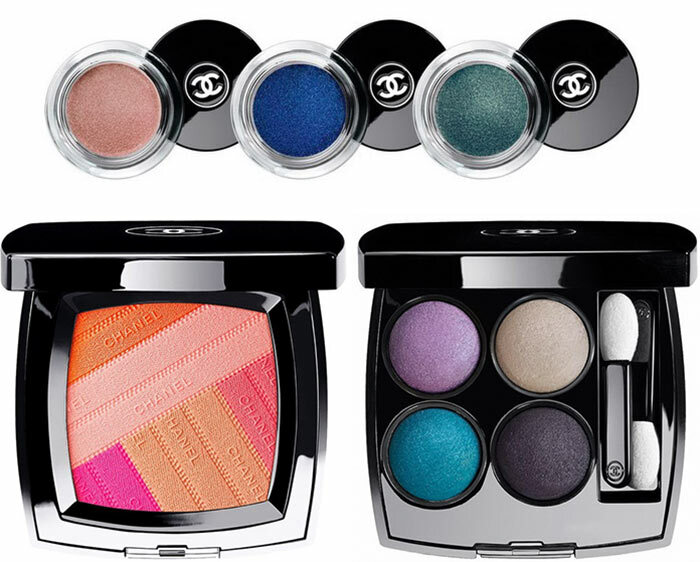 Actually, it seems somewhat bizarre to see any spring 2016 makeup collection now	especially when all the preparations for Halloween and Christmas are in full swing now but in this predictable and frosty period we definitely need some warm and zesty ingredients and Chanel will provide us with them in January 2016. Before those LA Sunrise-inspired products hit the stores, you have a chance to enjoy the vibrant images right now and make up your mind about your after-Christmas pleasant shopping. Just a glance at this mellow face palette and you will instantly grasp the motives of the collection’s appellation. The face palette where ribbons of bright orange, powdery pink, fuchsia, peach beige and soft coral are intersecting each other, imitates a realistic LA sunrise aquarelle. The face palette can be used either as a blush for cheeks or as a face highlighter or even for contouring cheekbones and forehead. Acquiring this star of the collection, you will always carry fabulous sunrise on your face. Housed in a travel-friendly sleek black case, this eyeshadow palette comprising four sunrise shades of lavender, ivory, teal blue and eggplant can be used alone or merged with each other creating an ombre effect on your eyelids, while two tiny brushes will provide impeccable application leading you to makeup artist niche. 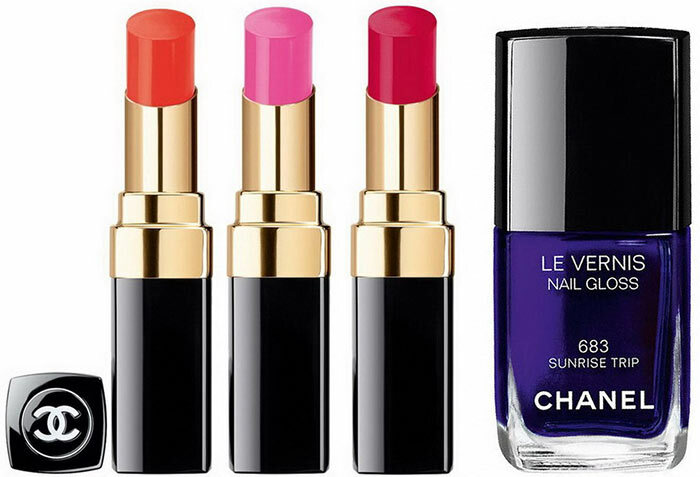 You are used to seeing black lined eyes in the mirror but it is worth trying more vibrant shades this spring. The set introduces three waterproof eyeliners impregnated with LA sunrise shades. The silicone-enriched formula and the soft feeling of the Stylo Yeux provide a flawless gliding, while the built-in sharpener will always keep the eyeliner fresh. This limited edition ardent purple mascara will instantly make your lashes ultra-curled, long and voluminous. Sunny spring is the ideal period for deviating from conventional carbon black mascara bringing one of the LA sunrise ribbons on your eyes, making them not only impressive but also soft and dreamy. The trio is another embodiment of LA sunrise, bringing into play richly pigmented bright orange, candy pink and raspberry red lipsticks. Their sheer and shining formula will give your lips extra flesh and some melting honey feeling. This deep purple nail gloss will strengthen and moisturize your nails through its exclusive formula giving them a super polished appearance. Its long-lasting effect will allow you not to worry about refreshing your nails for a week, while its bold and trendy color will effectively go with almost anything you wear.